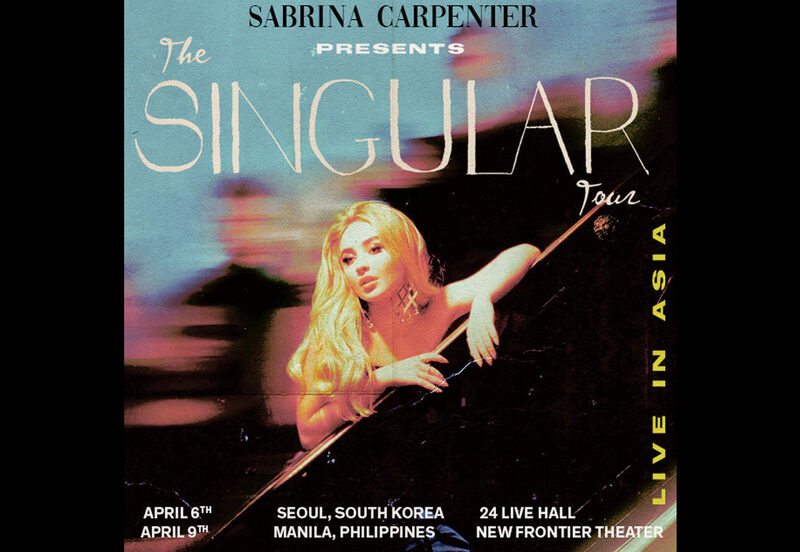 We are excited to announce new ticket presales for two shows on Sabrina's Singular Tour of Asia: April 6 in Seoul at 24 Live Hall, and April 9 in Manila at New Frontier Theater! Don't miss Sabrina in concert where she will perform hits from her new album, Singular Act I, plus fan favorites from her music catalog. Sabrina Carpenter fan club members will have early access to preferred tickets beginning on Wednesday, January 23 at 23-noon KST for Seoul, and then Friday, January 25 @ 10 a.m. PHT for Manila. If you are not yet a member, join now to take part in our exclusive member presales! * You must be registered on the Yes24 Ticket website (Yes24.com) in order to purchase tickets. For details, CLICK HERE. If you do not yet have an Yes24.com account, we highly recommend that you register in advance so you will be ready once our presale begins on January 23 @ 12-noon local time. * When our presale begins, visit the TOUR page, and you will see the special fan club code displayed above the BUY TICKETS link. * Each member may purchase up to 4 tickets with our fan club code. * Our Seoul presale will end on January 25 @ 8:59 a.m. KST. * Our Manila presale will end on January 25 @ 11:59 p.m. PHT. Members, if you have questions regarding your membership, please use our HELP form to contact our Fan Support Team.